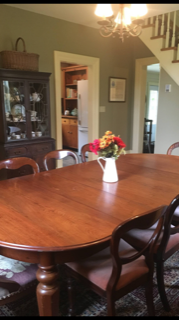 Gorgeous heritage home on 3 acres in Priceville, sleeps 8. Five mins from Flesherton & 15 mins from the Beaver Valley Ski Club. 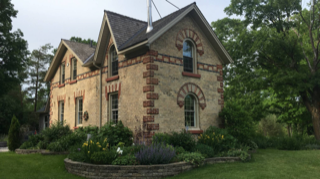 Overlooking the beautiful Saugeen River, this charming heritage home was built in 1879 & beautifully restored in 2015 by a local architect. Gourmet chef’s kitchen, wood-burning stove, heated bathroom floor, incredible views, natural light, trails on the property. 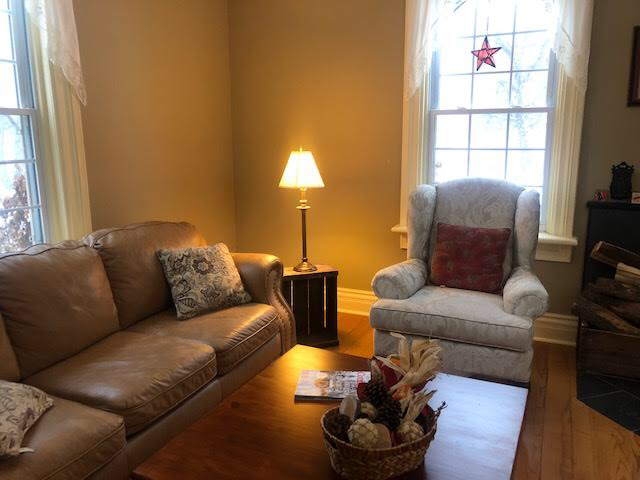 Our home is furnished with antiques and comfortable furniture. The kitchen is the true heart of this house, with stone floors, granite counters, custom cupboards and fully stocked with high-end appliances. The pantry is fully stocked and the dishwasher is hidden away under the island. 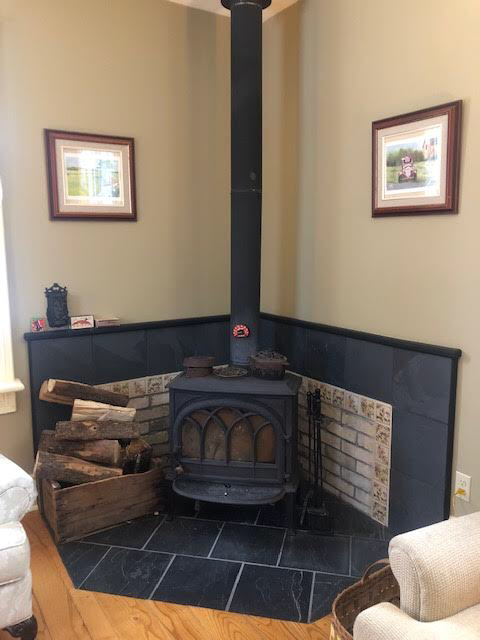 Relax in the living room in front of the wood burning stove, watch blue jays and wrens feed outside the kitchen window, and enjoy our collection of board games, books and toys for the kids. 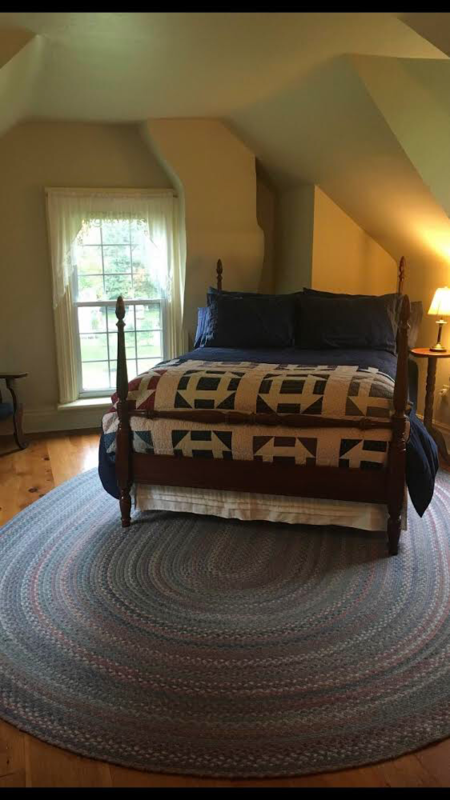 The master bedroom has a double bed, the kid's bedroom has four twins, there is a pull out for one adult (or two kids) in the den and a queen pull out in the living room. All beds are cosy and comfortable with high-end duvets and linens. The home is equipped with a flat-screen TV, Wifi, and a front loading washer and dryer tucked away in the main floor laundry room. 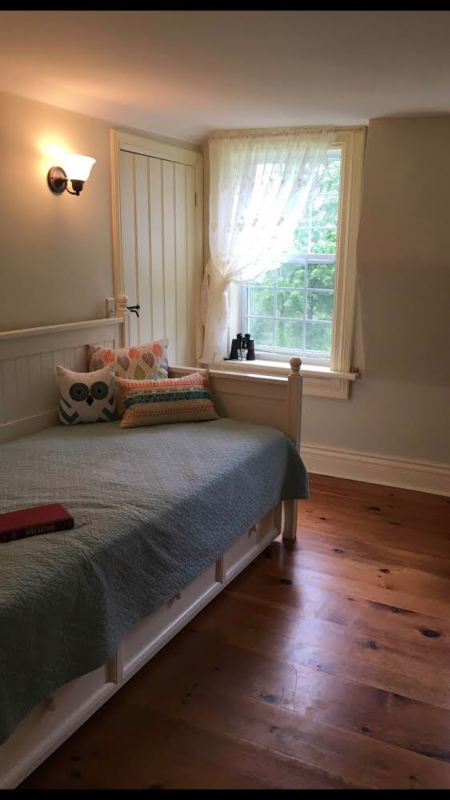 Utilities are included with weekly rental; guests pay for monthly rental. Firewood and snow removal are included. For a monthly rental we will provide a mid-month cleaning. Linens and towels provided. Two car garage.